Datacasting is the broadcasting of data over a wide area via radio waves. It most often refers to supplemental information sent by television stations along with digital terrestrial television, but may also be applied to digital signals on analog TV or radio. It generally does not apply to data which is inherent to the medium, such as PSIP data which defines virtual channels for DTT or direct broadcast satellite systems; or to things like cable modem or satellite modem, which use a completely separate channel for data. Radio Data System (RDS) is a communications protocol standard for embedding small amounts of digital information in conventional FM radio broadcasts. RDS standardizes several types of information transmitted, including time, station identification and program information. In telecommunication, trellis modulation is a modulation scheme that transmits information with high efficiency over band-limited channels such as telephone lines. Gottfried Ungerboeck invented trellis modulation while working for IBM in the 1970s, and first described it in a conference paper in 1976. It went largely unnoticed, however, until he published a new, detailed exposition in 1982 that achieved sudden and widespread recognition. ARM7 is a group of older 32-bit RISC ARM processor cores licensed by ARM Holdings for microcontroller use. The ARM7 core family consists of ARM700, ARM710, ARM7DI, ARM710a, ARM720T, ARM740T, ARM710T, ARM7TDMI, ARM7TDMI-S, ARM7EJ-S. The ARM7TDMI and ARM7TDMI-S were the most popular cores of the family. Since ARM7 cores were released from 1993 to 2001, they are no longer recommended for new IC designs; instead ARM Cortex-M or ARM Cortex-R cores are preferred. DirectBand is a product of the Smart Personal Objects Technology (SPOT) team at Microsoft. 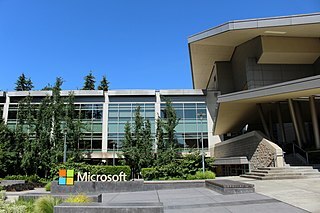 System hardware was designed for Microsoft by SCA Data Systems of Santa Monica, California. MSN Direct is the consumer brand that Microsoft uses for devices that receive content from the DirectBand network. MSN Direct was an FM radio-based digital service which allowed 'SPOT' portable devices to receive information from MSN services. Devices that supported MSN Direct included wristwatches, desktop clocks, in-car GPS satellite navigation units, and even small appliances such as coffee makers. Information available through paid "channels" included weather, horoscopes, stocks, news, sports results and calendar notifications. The service also allowed users to receive short messages from Windows Live Messenger. Autofahrer-Rundfunk-Informationssystem was a system for indicating the presence of traffic information in FM broadcasts used by the German ARD network of FM radio stations from 1974. Developed jointly by IRT and Blaupunkt, it indicated the presence of traffic announcements through manipulation of the 57kHz subcarrier of the station's FM signal. Traffic Message Channel (TMC) is a technology for delivering traffic and travel information to motor vehicle drivers. It is digitally coded using the ALERT C protocol into RDS Type 8A groups carried via conventional FM radio broadcasts. It can also be transmitted on Digital Audio Broadcasting or satellite radio. TMC allows silent delivery of dynamic information suitable for reproduction or display in the user's language without interrupting audio broadcast services. Both public and commercial services are operational in many countries. When data is integrated directly into a navigation system, traffic information can be used in the system's route calculation. G.722 is an ITU-T standard 7 kHz Wideband audio codec operating at 48, 56 and 64 kbit/s. It was approved by ITU-T in November 1988. Technology of the codec is based on sub-band ADPCM (SB-ADPCM). Subsidiary Communications Authorization (SCA) in the United States, and Subsidiary Communications Multiplex Operation (SCMO) in Canada, is a subcarrier on a radio station, allowing the station to broadcast additional services as part of its signal. FMeXtra is a deprecated in-band on-channel digital radio broadcasting technology created by Digital Radio Express. Unlike iBiquity's HD Radio system, it uses any FM radio station's existing equipment and transmitter plant to transmit digital audio data on subcarriers instead of sidebands. It also requires no royalties for its use, which can run thousands of dollars per year for HD Radio because of the 3% of revenue on HD-2, HD-3 channels. In digital audio data reduction technology, aptX is a family of proprietary audio codec compression algorithms owned by Qualcomm. CCIR System B was the 625-line analog broadcast television system which at its peak was the system used in most countries. It is being replaced across Western Europe, part of Asia and Africa by digital broadcasting. Satellite subcarrier audio is audio transmitted by way of satellite that utilizes a separate analog or digital signal carried on a main radio transmission on a specific satellite transponder. More technically, it is an already-modulated signal, which is then modulated into another signal of higher frequency and bandwidth. In a more general sense, satellite subcarrier audio is an early form of satellite radio not intended for the consumer market but was initially unencrypted, thus receivable to satellite hobbyists. CCIR System I is an analog broadcast television system. It was first used in the Republic of Ireland starting in 1962 as the 625-line broadcasting standard to be used on VHF Band I and Band III, sharing Band III with 405-line System A signals radiated in the north of the country. The UK started its own 625-line television service in 1964 also using System I, but on UHF only - the UK has never used VHF for 625-line television except for some cable relay distribution systems. ↑ "MSN Direct service will be available only until January 1, 2012". MSN Direct web site. Archived from the original on 2010-10-09.